Sally Horchow may live in Los Angeles, but Nantucket feels like home. Here's a local's guide to what to do on the island. 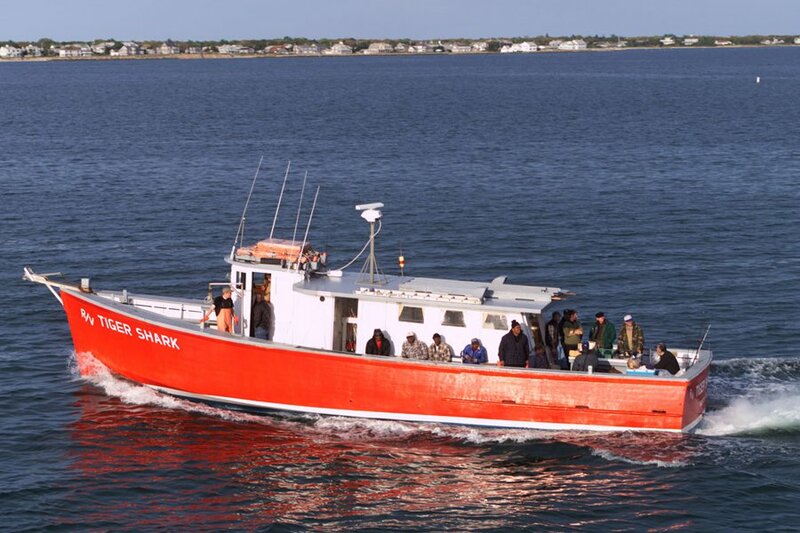 NANTUCKET – My family started traveling to Nantucket from Dallas in the summer of 1974 to escape the Texas heat. We rented a house each summer and eventually built one. 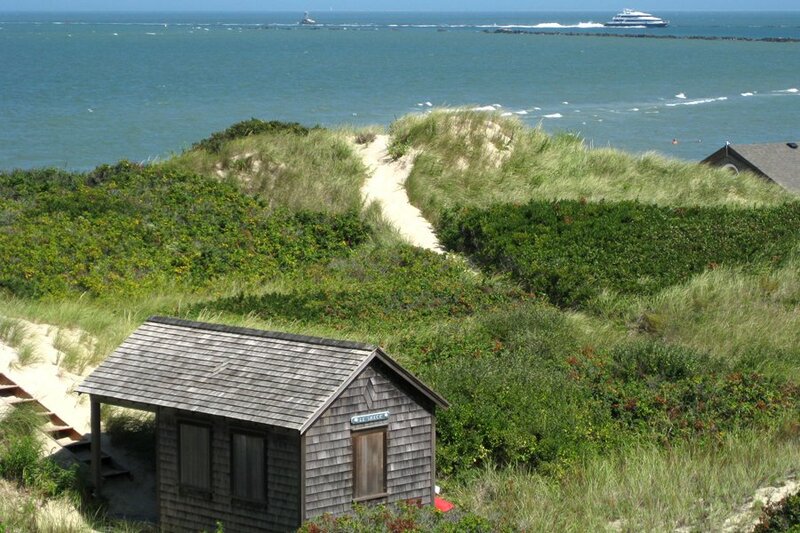 Once I left for boarding school and then college, it was Nantucket I would come home to every summer, not Dallas. It's where my family congregates. I got married there. And whenever I make the cross-country trek from Los Angeles, I never mind the inevitable travel hassles (you can practically bank on fog-related delays or cancellations), because I know at the end of it, I'll be on Nantucket. It's that special. But that's just the thing: Nantucket is a special place to anyone who visits it. A friend just told me that she came to the island last winter for the first time for work, and even though it was deadly cold, dreary, and grey, she fell in love with it. I like visiting in the off-season, but Nantucket really means summer to me. These are the places and experiences that make it so great, from A to Z. This may be a small island, but it packs a big punch. The airport code and subject of many Nantucket names, signs, and half the California license plate on the car I drive there: BCKNACK. Everything tastes better on the beach. Take advantage of the select slivers of sand that you're allowed to drive on by buying a beach permit, packing a cooler and a grill, and plopping down at the 40th Pole off of Eel Point Road for the sunset. I repeat: Everything tastes better on the beach — including cocktails. has a great bar that spills onto the sand, and everyone applauds the sunset. There's always a wait for sit-down breakfast at , but it goes by quickly when you get a chocolate doughnut from the take-out counter to tide you over. For a special occasion, I splurge and charter a gorgeous Hinckley picnic boat from . in May, in June, in July. Fantastic extra reasons to visit. (curated vintage clothing), (inexpensive jewelry and clothes), (beautiful handmade home items), (steady stream of summer rosé), and the (Nantucket crafts and historical items). Lunch on the patio at provides the best vantage for beautiful Nantucket Harbor. Bloody Marys + boats = a winning combination. Affectionately called "the Ink and M" or "The Inky Mirror," the terrific , which hits the Hub on Main Street (and everywhere else) on Thursday. I try to get at least ten times per visit, which is not difficult to achieve. I order brownie a la mode in a homemade waffle cup cone and mint Oreo with hot fudge on alternating days. Just to mix it up. That's what you'll get from bluefish paté, a cocktail party favorite, the best of which comes from — aka 167 — and is served on Wheat Thins. Get a ready-made clambake with all the fixins and a 1¼-pounder from . I always pay homage to the shop where I had my first summer job, and — more importantly — the home of , those dark pink shorts and pants everyone wears on the island. Rent a bike from (where my family bought ours used at the end of the season) and ride everywhere. Hell, it's only seven miles long and fourteen wide. Along with "Nobody Does It Better" and "Sweet Caroline," they're the most popular requests for the sing-a-long piano player made by the sauced crowd at . It's Nantucket's version of a white sourdough, but better. slices theirs thinner than , but both are excellent. Among the other good eats at , which is on the westernmost end of the island and is accessible by bike (30 minutes from town), car, bus (15 minutes from town), or — the best — the Millie's shuttle that picks up in front of the Town Information Booth on Federal Street. As a throwback to childhood, I buy one at and don't take it off until the end of the summer. No, I don't care if it starts to smell. I save all my carbs for a summer full of them, from Something Natural (turkey/tomato/swiss on oatmeal), (turkey terrific on herb), and (Bangkok wrap). The other good carbs come from alcohol. Specifically, Nantucket's own distillery, Triple Eight, and their cocktails — as well as post-beach Sankaty Light beers — at . Try not to do it after pancakes at . Always guaranteed to be display on the 4th of July at . Specifically, pool tables, fun bands, and cheap beer at , where townies and tourists paah-ty as one. They skip the new-agey music at upstairs on Main Street. They come in handy when you're gathering shells on . From top: Shells on the beach, Brandt Point Lighthouse, and pancakes at Black Eyed Susan's. All photos courtesy Sally Horchow. The most well-appointed, convenient full-service hotel in town. The best. That's all. The only truly beachside offering near town. Cluster of cute cottages in the tiny village of Siasconset. There's a fun scene at the poolside restaurant, where you can dine al fresco before expansive views of the Atlantic. The splurge getaway on the island. Brand new, eleven room boutique hotel in a 1717 landmark building renovated with a modern design sensibility. From the folks behind . Hopping and fun. Plus, any place that serves deliciously fresh sushi AND macaroni and cheese on the same menu is the place for me. The tuna burger is astounding and available at their take-out outpost, . The underground wine cellar-feeling restaurant serves homey, delicious food (Bartlett's Farm tomato salad, chicken under a brick, and softshell crab are my favorites) and is perfect for a rainy night. The terrace is great for brunch on a sunny day, and the bar works for either. New this summer, it's a great, fresh take on New England classics. Cru also has prime real estate: an open-air, dockside restaurant surrounded by gorgeous visiting yachts and sailboats. Fly: (ACK) has service from Boston on (a great commuter — read: puddle-jumper! — airline), from New York ( and from JFK; Delta from LGA), and Hyannis (). There are also flights from Washington, D.C., and Philadelphia in the summer. Beware frequent fog delays getting in and out of the very small airport — missed connections happen all the time. Drive/Ferry: You can drive one hour from Boston to Hyannis and take a ferry. Book if you want to take your car, which requires a special reservation and takes 2¼ hours. Otherwise, only takes one hour. 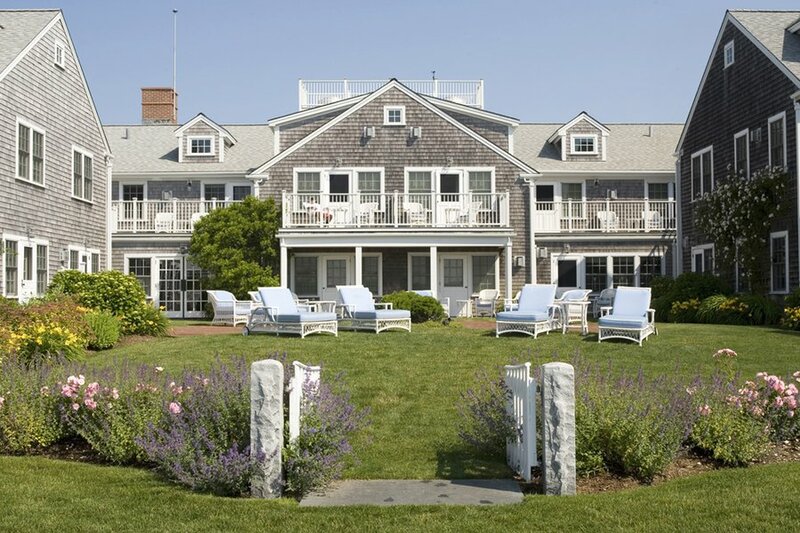 The town of Nantucket is very walkable; you can easily walk to most activities in town. But leave your stilettos at home: The sidewalks and crosswalks are made of centuries-old, uneven brick, and many streets are cobblestone. Depending on where you are staying, at one of the many shops in town is the best way to get around and see the island. If you're staying outside town and/or want to transport stuff/kids/chairs to one of the many gorgeous beaches, rent a car at the airport from one of the many options: , , or . Many can be called at a moment's notice and have stands at various obvious places. So if you're staying in town and want to stick to walking, you'll never have a problem getting a cab when you need to go farther. is the bus system, another reliable way of getting around. Sally is a , , and a Broadway producer who lives in Los Angeles. She travels for the meals and the memories.